Hayden Christensen made a return to the world of Star Wars this weekend by attending the Star Wars Celebration in Chicago. 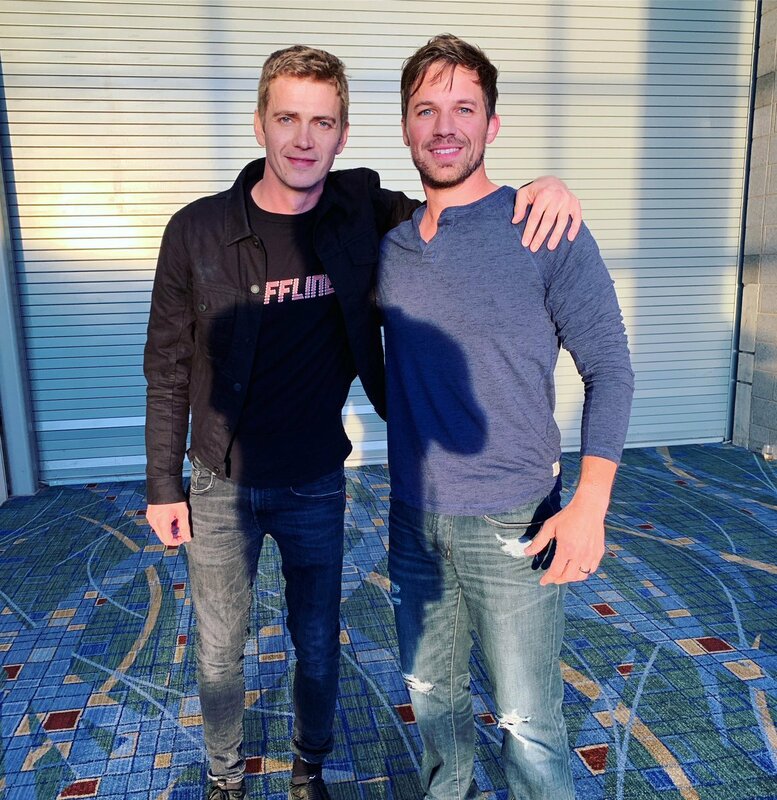 Thanks to the promotion for the upcoming Clone Wars revival, it just so happens that Matt Lanter, another actor most known to SW lovers for playing Anakin Skywalker, was in attendance, too. And, wouldn’t you know it, the pair united for an awesome fan-pleasing photo. Lanter, who’s voiced Anakin for over a decade across Clone Wars, Rebels and Forces of Destiny, shared the snap of himself with Christensen, who portrayed the young Vader in live-action in Attack of the Clones and Revenge of the Sith, on his Twitter account. He even gave it the perfect caption, writing: “WE WERE THE CHOSEN ONES!!! !” along with the hilarious hashtag #wehatesand. Sunday’s Clone Wars panel gave us the first trailer for the much-anticipated seventh and final season of the beloved animated series that’s coming to Disney Plus. The original run was cancelled back in 2014, so it’s a huge deal for fans that showrunner Dave Filoni is getting to finish the series on his own terms five years later. But it’s been even longer since Christensen last played the infamous Jedi turned Sith Lord in 2005. Thankfully, there’s a persistent rumor going around that he might be set to return in The Rise of Skywalker. Many theorized this was why he was attending SWCC in the first place, but no such reveal came out over the weekend. The first trailer for Episode IX did promise an appearance from Emperor Palpatine instead, though, and it really wouldn’t be stretching credibility for his former apprentice to make a comeback as well. In any case, we’ll have to sit tight and wait and see what happens, but in the meantime, we can tell you that The Clone Wars is yet to receive a release date, while The Rise of Skywalker ends the nine-part Star Wars saga on December 20th.